The seven day diving expedition was based in Marsa Nakari, Egypt. We were a group of ten personnel which included regular, reserve and civilian SADS from Harrogate. The expedition ranged in ability from novice diver undertaking the BSAC Ocean Diver qualification to Open Water Instructor trainers. 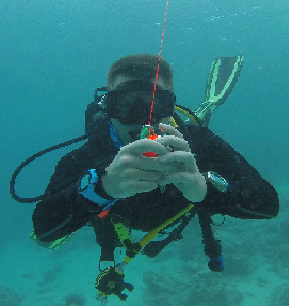 The main objective of this exercise was to qualify four ocean divers, prepare two individuals for instructor level and enable the personnel of 3rd Battalion The Prince Of Wales Royal Regiment with qualification and experience to run their own expedition. We arrived at Marsa Alam airport after a short five hour journey from Gatwick airport, where a minibus was waiting to take us to our destination, Marsa Nakari Diving Centre. On the first day after breakfast, the majority of the morning was spent issuing diving kit, a safety brief and weight check under water, which is the most important part of diving. The majority of the skills and drills were taught during a two day pool sessions Bramcote Barracks, this was to build confidence with the four trainee divers whilst conducting sheltered water training. This was good preparation for the open water aspect of the course, conducting drills at a depth of 8 meters; for some reason this brought a new level of fear to the training members of the expedition – the surface was a long way up. The open water drills include a fin pivot, mask clearance, mask removal, feed hose failure, second stage removal, control ascent and descent, and alternate source ascent. After all drills were complete, the trainee divers were split into two groups and started their familiarization to ocean diving. The dive time gradually increased as confidence and ability grew; each dive seemed progressive and more interesting as a wider variety of marine species was seen. 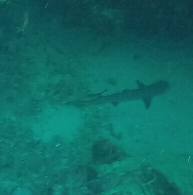 We were fortunate enough to see the juvenile white tip shark, puffer fish, moray, and crocodile fish. 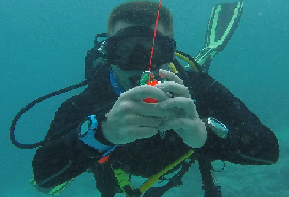 We started to practice dive leading on our buddy after our second dive from day two. Before finishing the qualification training we learnt how to deploy a delayed surface marker buoy (DSMB) under water from our instructors Alan Richards and Billy McDonald. 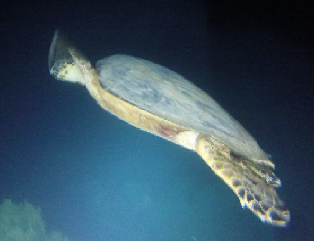 Exploring the marine life is a completely fascinating experience and I would recommend anyone to experience the world underwater. Once qualified, the expedition members got the chance to dive on a wreck called Abu Ghusun; it was fascinating to know the history as it added value to the experience of the dive. 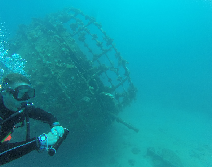 We conducted two dives on the wreck; the first dive was shore to shore, in two waves with an interval of 40min. The second dive was a surface swim towards the wreck and dive to shore as a single group. The experience of seeing a wreck appear out of the murky water was amazing, made even better by the opportunity to explore around the outside of the hull and peer inside through the captain’s window. On day four we went to Marsa Sagar Dive Centre, popular for the Long Canyons. Diving through the canyon was another experience to boost the self-confidence in individual diving abilities; the tight spaces and directional changes whilst navigating below the corals was a challenging experience and a good way to practice buoyancy control. The following day was a trip to Dolphin House, the reef was approximately a 30min Zodiac trip from Marsa Nakari. We were fortunate enough to see a large group of dolphins in between dives, and putting on our kit we tried to get up close as we could hoping they would be willing to play, however unfortunately they had young and continued on by. After a week of diving, the last day arrived much quicker than expected; one of the final dives was a reef dive on Habili El Ghadir, a 20min Zodiac trip from Marsa Nakari. During the 45min dive, we meandered around the towering pillars and saw the usual variety of colourful fish. Later that afternoon the expedition members conducted a reef clean up dive as a follow on to a presentation of reef management the night before. This was important as it highlighted the environmental impact of litter in the oceans. In order to do our part in keeping the waters clean, our team collected rubbish off the coral, being careful not to remove anything which had become part of the reef. That evening, the local Bedouins hosted us with Bedouin coffee and shisha on the beach, giving us a chance to experience local cultures. The overall expedition was a fascinating and enjoyable trip.